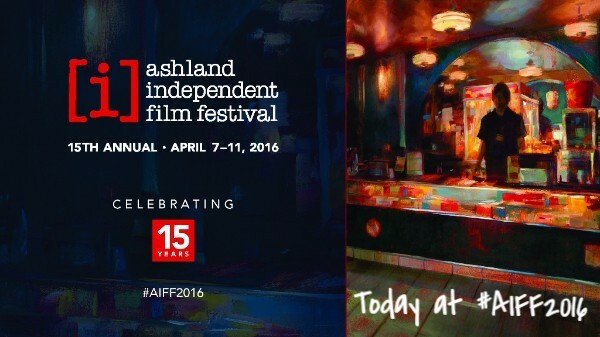 AIFF2016 is here! Get ready for five days of thought-provoking films, beautiful storytelling, packed parties, artisan food, epic Karaoke, and much, much more. Opening Day does not disappoint! Today (Thursday) at 3:00 p.m., Friday at 12:00 p.m., Saturday at 9:30 a.m. at Varsity Theatre. The thriller that Indiewire calls â€œthe best science fiction discovery of the yearâ€. Five interwoven stories explore the search for meaning and connection in a world with no memory. Plays with Sculptures That Lost the Sense of Time. Today (Thursday) at 6:00 p.m., Friday at 9:00 p.m., Sunday at 12:00 p.m.
An unusual coming-of-age story. â€œNearly every scene crackles â€¦ if someone asked me to name a great film about acceptance, Hunky Dory would be the first on my tongue.â€ â€“ Rogue Valley Messenger. Tickets are still available to Julie Taymorâ€™s latest extravaganza. Taymor will Skype in for a post-film discussion. â€œFantastical, sensual, and playfulâ€¦â€ - Rogue Valley Messenger. 7:30 p.m. Tonight (Friday) at the Ashland Springs Hotel. 96 N. Main St., Ashland. Oh no! The film you wanted to see is in RUSH. Donâ€™t give up. Come down to the theatre and stand in the RUSH line. At a few minutes to show-time, if there are empty seats, weâ€™ll sell you a ticket to the film. RUSH lines usually start to form anywhere from 60 - 30 minutes before show time, but the really dedicated could be there much earlier. The RUSH lines are separate from the lines for ticket holders. Please look for the RUSH Line signs. Your membership time-block privileges wonâ€™t get you a RUSH ticket. AIFF RUSH tickets are the same price as the box office. Your friends and neighbors are seeing films in RUSH, and you should too. Check out some Pre-Festival pictures below! Our AIFF2016 Volunteers. Photo by Alex Georgevitch. Volunteer Training Night. We're all about the hospitality at AIFF2016. We had a sold out house at AIFF2016 Festival Preview Night. Your text caption goes here. You can change the position of the caption and set styles in the blockâ€™s settings tab.